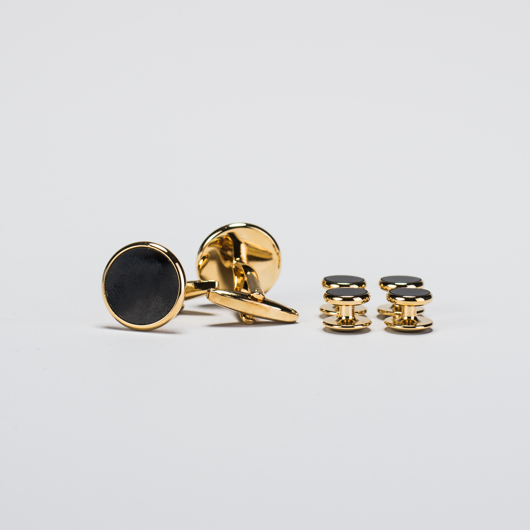 Elegant matching black and silver cufflink and shirt-stud set. Made of high quality brass. Perfect for all black or white tie occasions. Presented in an elegant gift box.